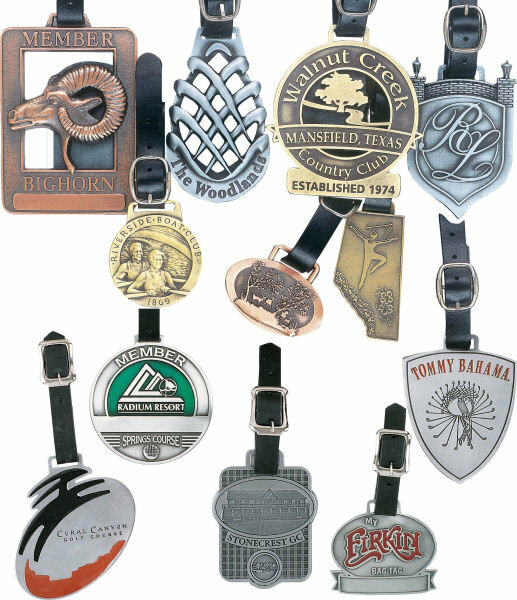 Custom designed bag tags are a great way to promote your company or event. Classic high quality bag tags can be enhanced with our epoxy colour accents. Identify your golf, tennis, or ski bag with a custom bag tag. Design a classic luggage tag to personalize your travel accessories. Can also be used as part of a jewelry line.